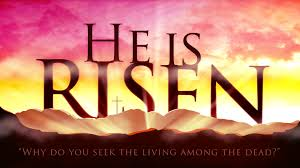 The celebration of Jesus’ Resurrection is so much more meaningful when you realize that He is not just THE Savior, but is YOUR Savior. He is not just THE Lord, but is YOUR Lord. He is not just A friend, but He is YOUR friend. Everything He did was for the whole world, but it was also very personal and individual. He did it all for YOU!! amen – well said – God bless you today! God bless you! Have a wonderful day! Dear sister in Christ, Christa. Happy Easter, sis:) Wonderful post. Happy belated Easter to you! Thank you … and have a wonderful week! Glad we keep in touch! I needed to be reminded of this today! Thank you Christa! I had to be reminded too! Have a great post-Easter week!